I a) just got a kitchen scale, and b) wanted to bring some sort of baked good to my last day volunteering at a pretty cool local nonprofit. I had a recipe bookmarked that required a scale and said it made 3 mini loaves. I figured 3 mini loaves must make at least one real loaf, a reasonable amount to share. 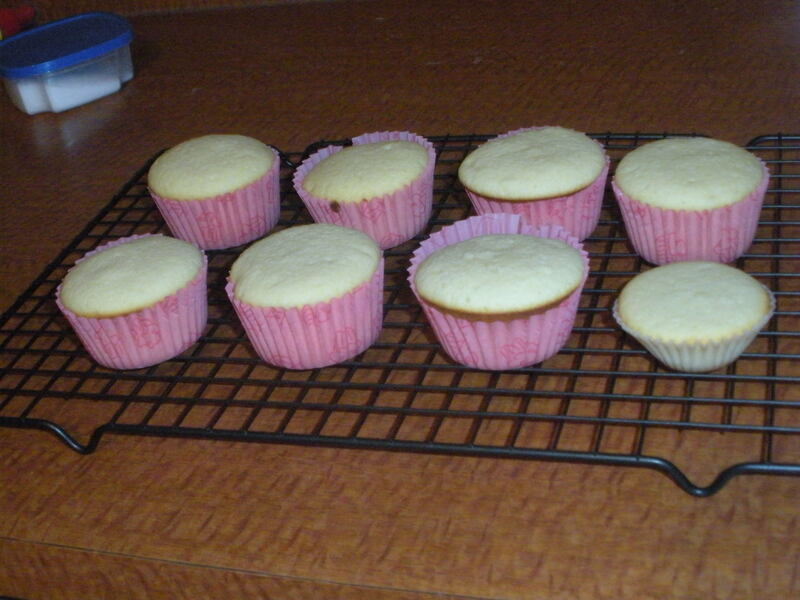 As it turns out, 3 mini loaves is actually less, about the right amount for 7 muffins and 1 mini muffin. Now we know? This recipe was written mostly in weights, so it was hard for me to picture amounts beforehand. After I weighed things out I tried measuring them in cups/spoonfuls for those of you without a kitchen scale. Of course, two of the ingredients didn’t measure quite evenly. Also, the recipe calls for caster sugar. That’s basically just a superfine sugar. I’ve never actually noticed it in stores, but you can make it by just throwing the right amount of sugar in the blender and chopping it up for a few seconds. If you’re going that route, be sure to do the blending before anything else, because you need to let it settle for several minutes after. The blended sugar floats in the air in the blender and will go straight for your lungs if it hasn’t settled. A slightly heaping (well that's just not a measurement) 1/3 c of white chocolate and sliiiightly less than 1/4 c yogurt. At this point, this recipe is sounding like a massive pain, but it was actually really easy, and would have been quick too if i wasn’t measuring each ingredient twice. Preheat your oven to 355 F and melt the white chocolate. Cream the butter, salt, and sugar, and then beat in the egg and vanilla. It looks a lot like gross scrambled eggs at this point, but don’t despair. Mix together the yogurt and white chocolate in a small bowl. Fold the flour into the egg mixture by thirds, alternating with halves of the yogurt mixture so you finish with flour, mixing after each addition. 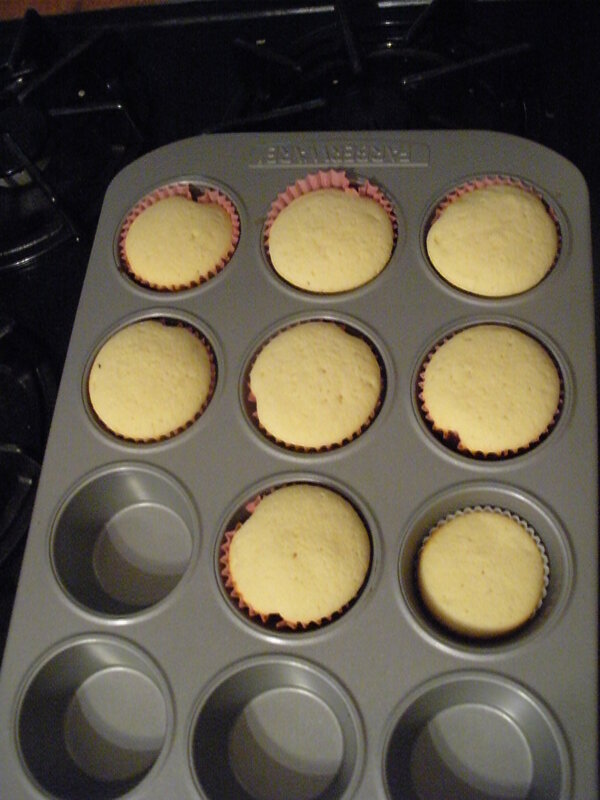 Spoon the batter into 3 greased mini loaf pans/7ish cupcakes and bake. Despite not making much batter, I’d definitely recommend this recipe (perhaps doubled?). The white chocolate taste isn’t strong, but they’re quite tasty and a bit tart from the yogurt. Went over well when I brought them in today! If necessary, blend sugar to create castor sugar. Preheat oven to 180C/355F. Cream butter, salt and sugar until light and fluffy. Slowly beat in egg and vanilla until well combined. Mix white chocolate and yogurt together. Fold in flour and yoghurt mixture alternately until well combined. Spoon batter into a greased mini loaf pan. Bake for 20-25mins for loaves or 15 mins for muffins. 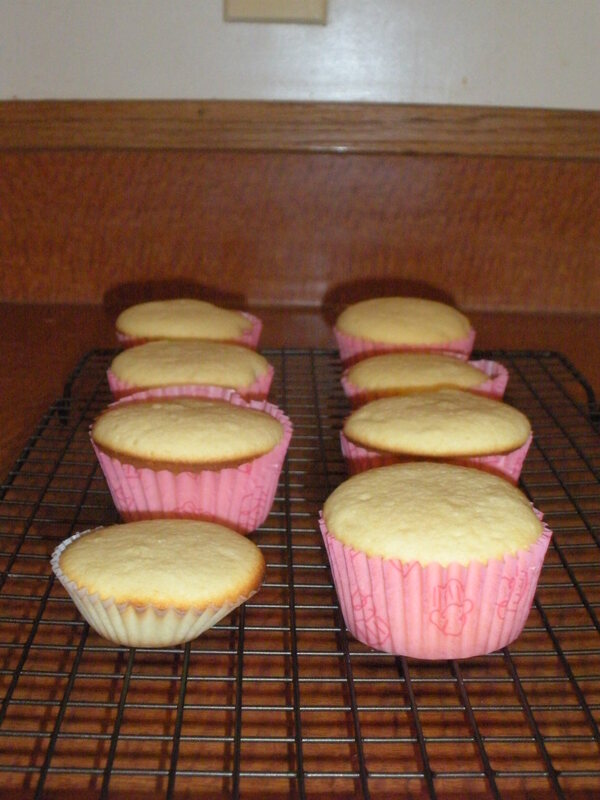 Remove cake from pan and cool it on a wire rack. This entry was posted in Dessert and tagged Muffins, White Chocolate. Bookmark the permalink.